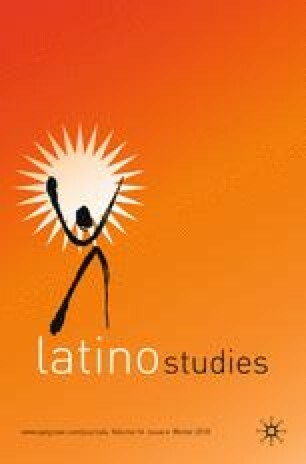 Researchers across disciplines have analyzed the ethnoracial classification of Latinxs in the US census, as well as the ideological, political, and material underpinnings and effects of such classification. In this article, I advance our understanding of the census’ reproduction of racial identities and racial discourse in two ways. First, I demonstrate that sociolinguistic theory and methods can shed new light on census classification in three distinct areas: (1) the categories and classifications themselves, (2) the negotiation of ethnoracial classification during census interviews, and (3) the language in which censuses are conducted. Second, I demonstrate that census-taking does not consist simply of recording preexisting ethnoracial identities, or of disseminating official discourses from interviewers to respondents. Instead, census interviews involve the intersubjective construction and production of ethnoracial identities, as interviewers and respondents negotiate the meaning of the categories provided and their places within them. This article is meant to inform interested parties of research and to encourage discussion. The views expressed are those of the author and are not necessarily shared by the U.S. Census Bureau. I am grateful to Paul Beatty, Patricia Goerman, Joanne Pascale, and Fabián Romero, of the US Census Bureau, as well as to the anonymous reviewers, for their invaluable comments and suggestions. All remaining shortcomings are mine alone. Childs, J.H., J. Leeman, and M. Smirnova. 2012. Behavior Coding Report of 2010 Census Coverage Follow-up English and Spanish Interviews. Survey Methodology #2012-08. Center for Survey Measurement Study Series. Research and Methodology Directorate, US Census Bureau. https://www.census.gov/srd/papers/pdf/ssm2012-08.pdf. Tafoya, S. 2004. Shades of Belonging. Washington, DC: Pew Hispanic Center. http://assets.pewresearch.org/wp-content/uploads/sites/7/reports/35.pdf. Taylor, P., M.H. Lopez, J.H. Martínez, and G. Velasco. 2012. When Labels Don’t Fit: Hispanics and Their Views of Identity. Washington, DC: Pew Hispanic Center. http://www.pewhispanic.org/2012/04/04/when-labels-dont-fit-hispanics-and-their-views-of-identity/. US Census Bureau. n.d. (a). Get Help Responding to the ACS. https://www.census.gov/programs-surveys/acs/respond/get-help.html. Accessed 12 January 2018. US Census Bureau. n.d. (b). What Is Race? http://www.census.gov/topics/population/race/about.html. Accessed 15 May 2016.